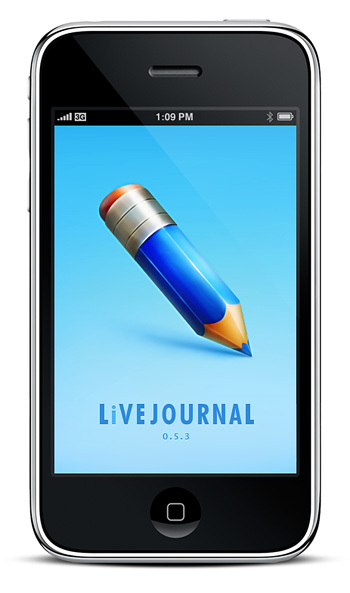 LiveJournal.app is a free client of LiveJournal for the Apple’s iPhone designed to enable iPhone users post into their blogs and send/receive private messages. This fabulous application was developed by CosySoftware. We were tasked with drawing the main icon and a loading screen based on the LiveJournal’s corporate style. As it turns out, drawing simple things is a rather complicated task. At first it seems like taking the pencil from LiveJournal’s style and redrawing it for iPhone would be an easy thing to do. But the application already had a pretty style and we had to make it even better. Now every happy iPhone owner can install a free version of LiveJournal.app from its product page on iTunes.